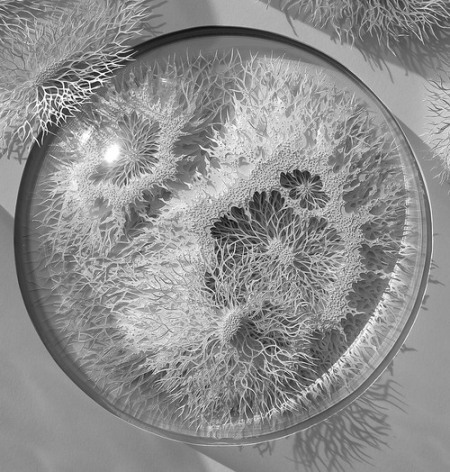 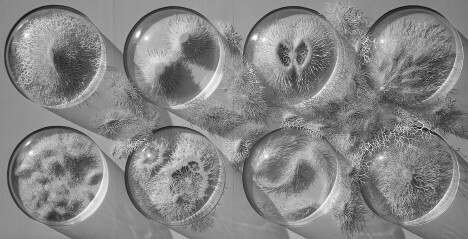 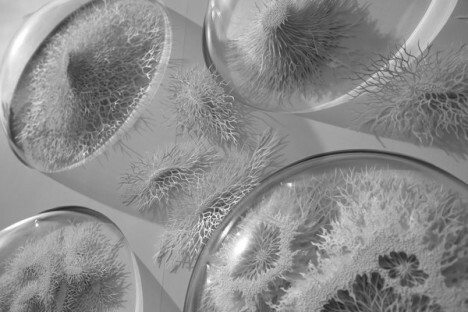 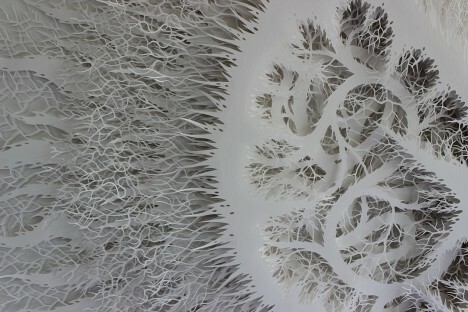 Few people outside of research scientists are quite so well-acquainted with the bacteria that grows inside the human body as artist Rogan Brown, who spends up to four months studying, cutting and assembling his paper reproductions of microbes and pathogens. 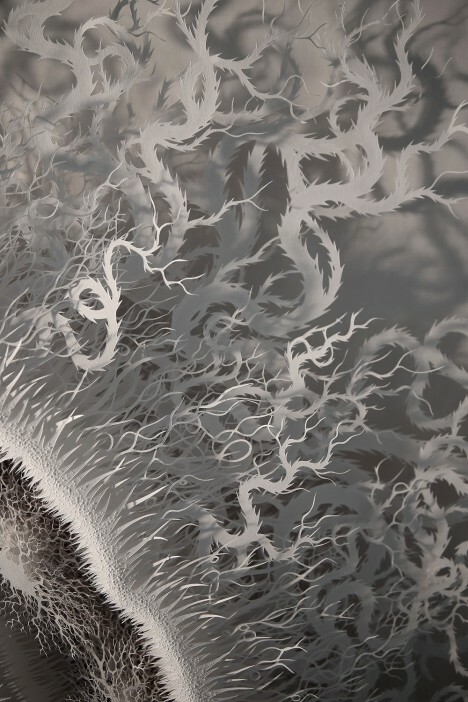 The series ‘Outbreak,’ completed in 2014, was inspired by a meeting with a group of microbiologists planning a new exhibition center focusing on the human microbiome, and its exhibition just happened to coincide with the deadly ebola outbreak last summer, when everybody had infectious diseases on the brain. 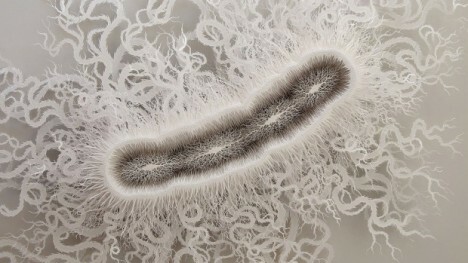 Stacks upon stacks of finely-sliced white paper make up each organism, nestled into white foamboard dishes. 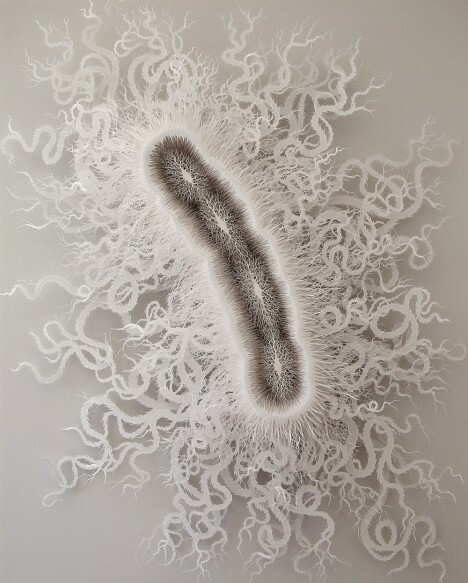 A more recent piece, ‘Cut Microbe,’ measures over 44 inches in length, about a half a million times the bacterium’s actual size. 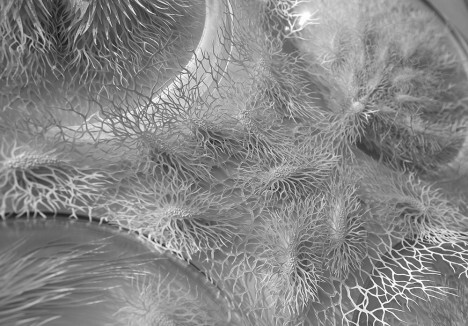 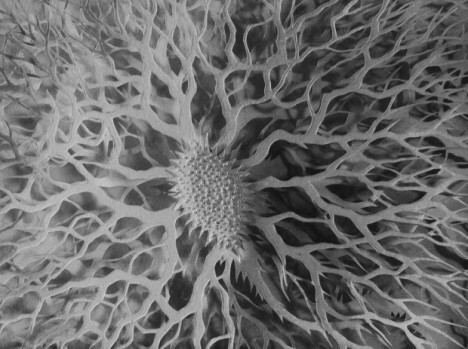 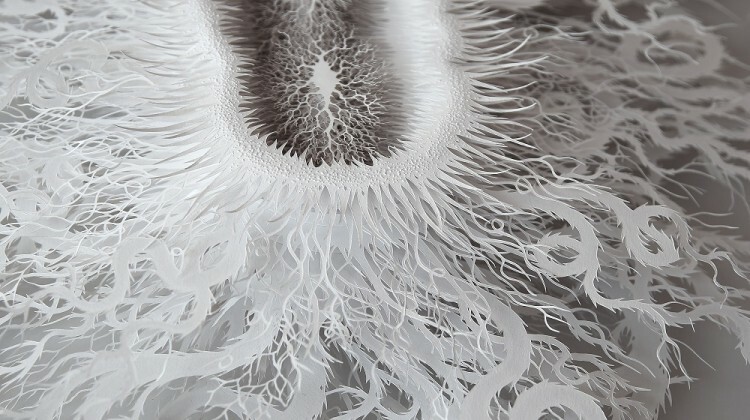 The details are scientifically accurate, including the tentacle-like flagella that allow the bacteria to swim through our intestinal tracts, yet rendered in white paper, they become something aesthetically pleasing to gaze at, removed from the grotesque nature most often associated with them.